Explanation: Although you've surely seen it, you might not have noticed it. During a cloudless twilight, just before sunrise or after sunset, part of the atmosphere above the horizon appears slightly off-color, slightly pink. Called the Belt of Venus, this off-color band between the dark eclipsed sky and the blue sky can be seen in nearly every direction including that opposite the Sun. Straight above, blue sky is normal sunlight reflecting off the atmosphere. In the Belt of Venus, however, the atmosphere reflects light from the setting (or rising) Sun which appears more red. The Belt of Venus can be seen from any location with a clear horizon. 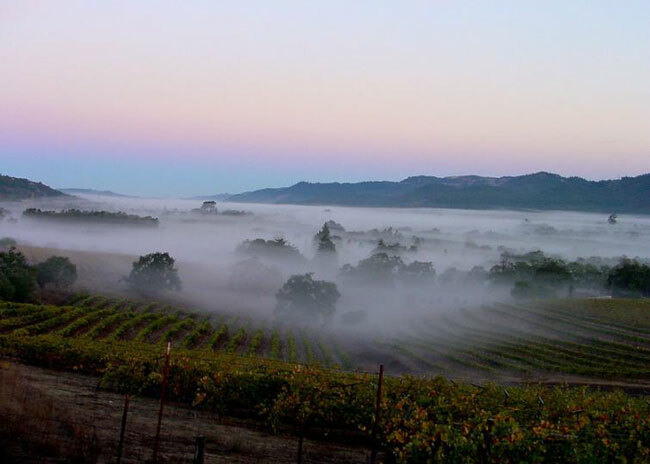 Pictured above, the Belt of Venus was photographed above morning fog in the Valley of the Moon, a famous wine-producing region in northern California, USA. The belt is frequently caught by accident in other photographs.